Korea Racing Authority Chairman Lee Yang Ho has formally stepped down from his position after a year at the helm of the nation’s sole racing authority. Lee, a career civil servant in the Ministry of Agriculture and Rural Development Administration prior to being appointed to the top job at the KRA, is reported to be leaving in order to run for political office having been nominated as a candidate for the upcoming Mayoral election in his home city of Gumi, North Gyeongsang Province. Since Lee made his decision known in November, Korean media have reported that his replacement is likely to be Kim Nak Soon, a former National Assembly member. The Korea Racing Authority has its 35th Chairman as Lee Yang Ho was inaugurated at a ceremony at Seoul Racecourse on Wednesday morning. Lee replaces Hyung Myung Kwan, who left the Authority earlier this month. As is normal in the public sector in Korea, Lee, whose appointment was approved by the Presidential Office at the end of last week, was an external candidate. Lee Yang Ho was born in Gumi in North Gyeongsang Province in 1959 and graduated from Yeongnam University in 1982. He completed a Masters degree at the Asian Institute of Technology in Thailand in 1992. A career civil servant, Lee has spent the vast majority of his working life in the Ministry of Agriculture, the branch of government under which the KRA is administered, rising to a senior position. Lee, who speaks good English, has been appointed to run the Racing Authority for a three-year term. It wasn’t the best of weeks publicity wise for Korean Racing. The highest profile instance was last Sunday evening when one of the country’s most-watched TV news magazine programs, MBC TV’s “Sisa Magazine 2580”, produced a 15-minute segment on the KRA’s new race plan and specifically the objections to it from breeders, owners and trainers. Those objections centre around the removal, with the exception of some Graded and Listed events, of separate races for domestic-bred horses at class 1 and class 2 level coupled with the raising of the limit that can spend on importing racehorses (now up to $50,000 for colts and geldings and no limit at all for fillies) and the potential impact of this on the domestic breeding industry. A lack of consultation and the perceived high-handed way in which it was introduced came in for strong criticism during the program. Additionally, the program alleged that messages left on the KRA’s “voice of customer” section in support of the new system were posted from computers with IP addresses belonging to the Authority itself, (internet commenters pretending to be somewhere or something they are not has become a somewhat hot issue in Korea over the past couple of years following some high profile political cases). While it is not 100% impossible that these were punters in the Seoul Racecourse Internet Cafe expressing their admiration of the Authority, viewers will have drawn their own conclusions. 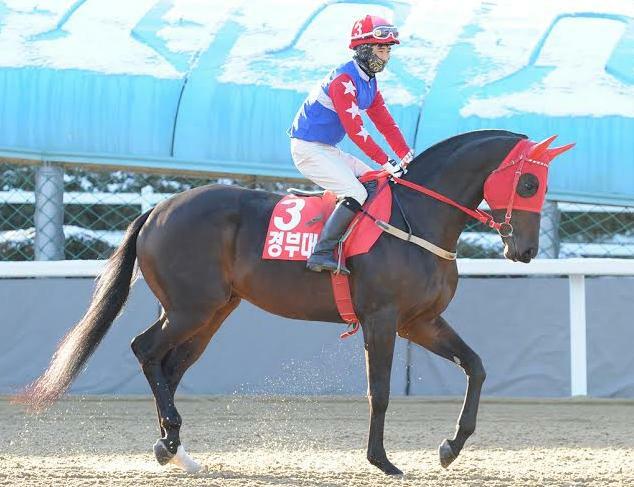 The MBC program came one day after cable channel JTBC, was among media outlets reporting that a jockey, described as being a “20-year veteran” was under investigation for allegedly accepting money in exchange for providing information to illegal gambling interests. As a criminal investigation is underway, the jockey in question can’t be named in Korea for legal reasons. There was some good coverage too; a video went viral in Korea of a horse used to pull tourist carriages being beaten by its owner (caution, link shows distressing scenes). The KRA tracked down the horse and rescued it. All good, however, the goodwill generated by that episode will likely have been lost over the week. All in all, is is good to get back to racing this weekend. 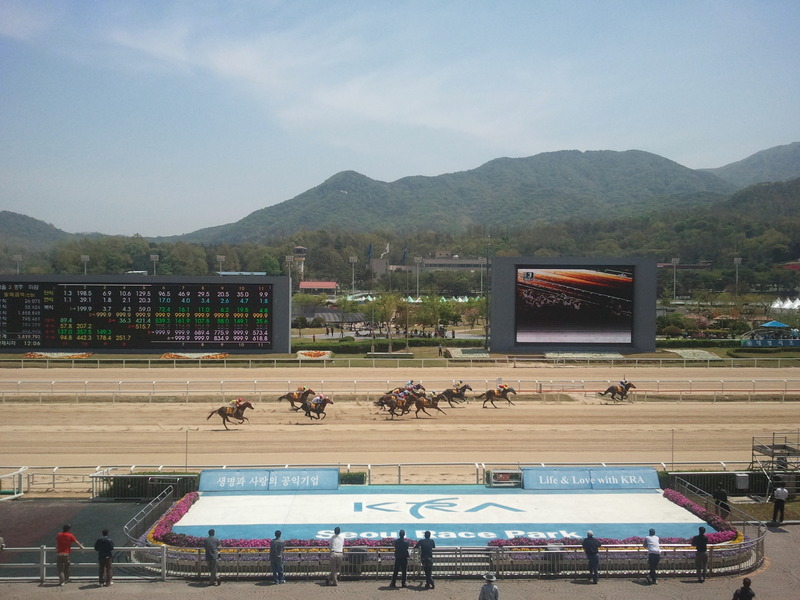 Last weekend saw the end of any class 1 and class 2 races restricted to Korean bred horses. From now on, it is all against all at the highest level. And the nation’s best locally-bred horse, Gyeongbudaero, is immediately sent out to take on the challenge of the imports at Busan on Sunday. The Korea Racing Authority’s decision to no longer set aside some class 1 & 2 races for domestic horses only has been controversial but is intended to eventually improve the quality of the locally bred horses. Every horse is now assigned a rating which will determine which class they can race in so to win the big money, they will need to beat imported horses. 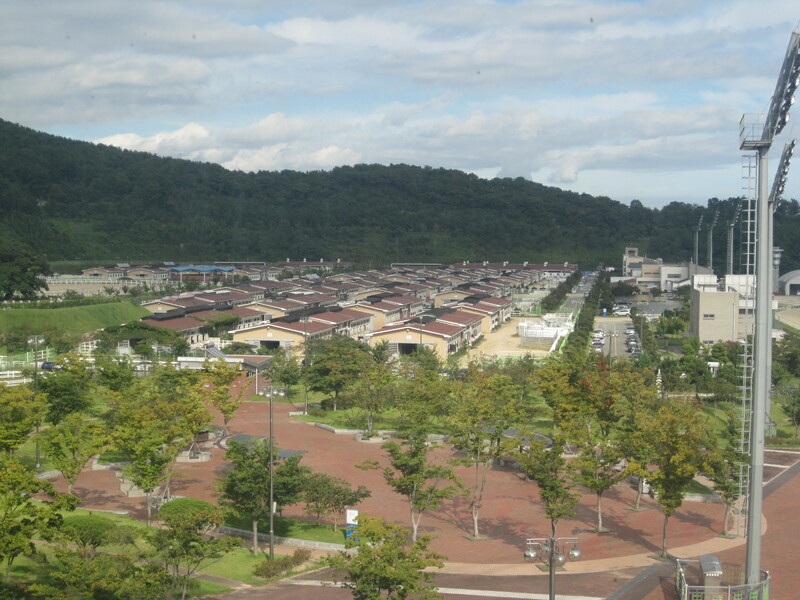 At Busan, they’ve already been doing just that for quite some time. The likes of Mister Park, Dangdae Bulpae, Yeonseung Daero and latterly Indie Band and Gyeongbudaero have been the track’s main stars over the past few years. All were Korean bred and all took on and beat the imports. Among the current top ten rated horses at the track, five are Korean bred and five imported. At Seoul, it is a little different. Asked to name the best horses from recent years, names likely to come up are Tough Win, Dongbanui Gangja, Smarty Moonhak and going back a couple of years further, Bally Brae and Subsidy. All were American bred. J.S. 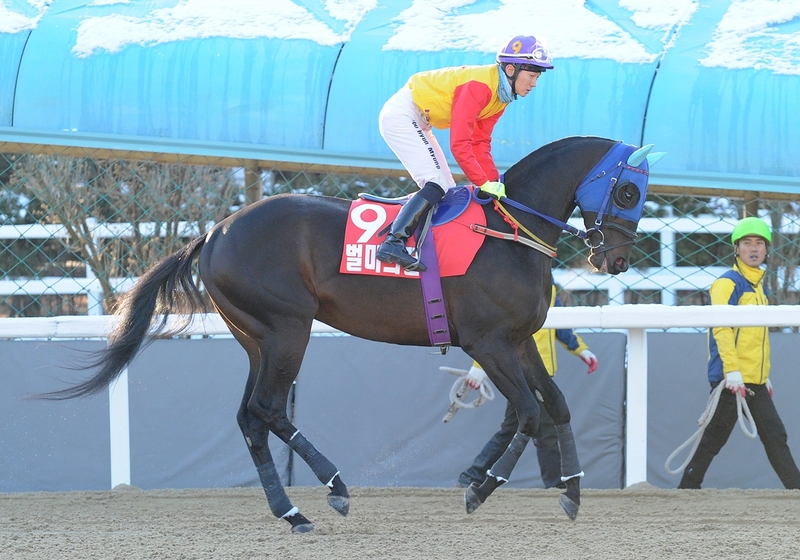 Hold and Myeongmun Gamun may get mentioned but they never managed to beat the imports and neither did Jigeum I Sungan, who only ran in an open race one time. In fact, the mare Top Point is the only one who readily springs to mind. Only two of the current top-ten rated horses at Seoul are locally bred. This is simplistic but perhaps helps illustrate one reason why there is more resistance to integrated racing in the capital. While there are class 1 and class 2 races scheduled for Busan this weekend, the KRA has already abandoned the ones it had planned for Seoul after the Owners’ Association made clear its members would not be making any entries. Indeed there is still a threat that this unofficial boycott may extend to all races in the capital. We will know at 4pm on Thursday. This is unlikely but even if everything goes ahead as planned, one casualty has already been Friday and Saturday’s overseas simulcast. In the event of a large-scale cancellation of races at Seoul, the Busan race schedule could be amended. With that uncertainty, the KRA decided to cancel the simulcast as a precaution and at an early stage in order to allow overseas partners maximum time to secure races from elsewhere. Whatever the rights and wrongs of its implementation, the change is one that needs to happen. Racing here must become more competitive and sterner tests for locally bred horses are essential in achieving this. For all the many things it can be questioned about, the KRA’s commitment to the breeding industry here isn’t one of them as is shown by its continued investment in better and better stallions. The Triple crown races will continue to be restricted to Korean bred horses. That brings us back to Busan’s Sunday feature. Gyeongbudaero will be making his first appearance since winning the Grand Prix Stakes at Seoul in December and will be top weight in the 2000M handicap. Fittingly, there will be six Korean bred horses and six imported horses in the starting gate. 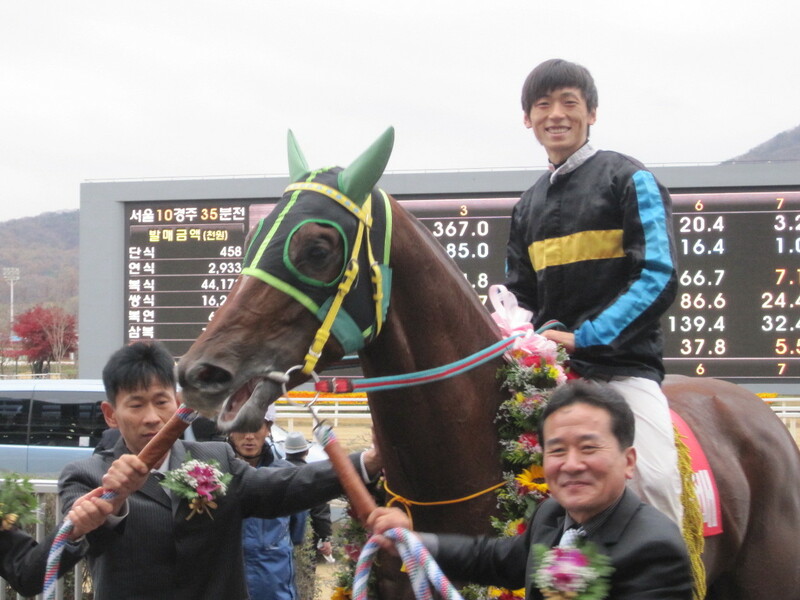 Also among the Koreans is Gumpo Sky, who has won two consecutive class 1 races and faces imports for the first time. Among those imports is Cheonji Bulpae, the 6th highest rated horse at Busan as well as Spring Gnarly who is unbeaten in seven starts since returning from a year’s layoff last May. It makes for a fascinating contest for both the punter and the sportsman. If this is the kind of race we can look forward to on a regular basis, the change is surely one for the better. The Korea Racing Authority (KRA) has announced a major shake-up of of the racing calendar for 2015 as it seeks to strengthen the competitiveness of Korean horse racing and further its goal of being promoted to a Part 2 country. The changes – which have been an open-secret for some time but were finally posted on the Authority’s Korean language website on Friday – coincide with the introduction of a new rating system that will see domestic-bred horses run against imported horses with far more regularity than they do now (although the Triple Crown remains restricted to Korean-bred entrants). The new calendar also adds International Open races to the the International Invitational ones which have been held in the past two years. The Korean Oaks will also move forward from its previous August date and will be run at Busan on June 21. The Oaks will be the final leg of the “Filly Triple Crown” after the Cup Mile and the Derby. Queens’ Tour: The three races that made up this series were previously spread over a period of 8 months which meant the line-up for the last leg was often unrecognisable from the first. To remedy this, the Ttukseom Cup at Seoul, has now been put back to June with the two Busan legs, the KNN Cup and South Gyeongsang Governor’s Cup being in September and November respectively. International: Five races have been designated as open to international runners. The JRA Trophy in May and the aforementioned Ttukseom Cup in June will be international open races while the SBS Asia Challenge Cup will be the centrepiece of a huge weekend at the end of August. The Cup itself will be an international invitational race as it was last year, however, the Singapore Turf Club Trophy and the KRA Cup Classic will be run on the same weekend and wil be designated international open races. Qurantine protocols have already been established with both Japan and Singapore while others are being worked on currently. Recognised Trial Races: While this blog has talked for years about such and such race being a trial for such and such another race but it’s never been officially that way. Now though, taking March 1 as an example, the Macau Jockey Club Trophy at Busan and the Sports Seoul Cup in the capital will both be official Korean Oaks trials. More Opportunities For Sprinters: If Korean horses are to eventually compete on the international stage, it is most likely to be at sprint distances and with that in mind, there are more opportunities for them to run for big prizes. Both the Asia Challenge Cup and the Jeju Governor’s Cup will be sprints and both will also have official prep races.